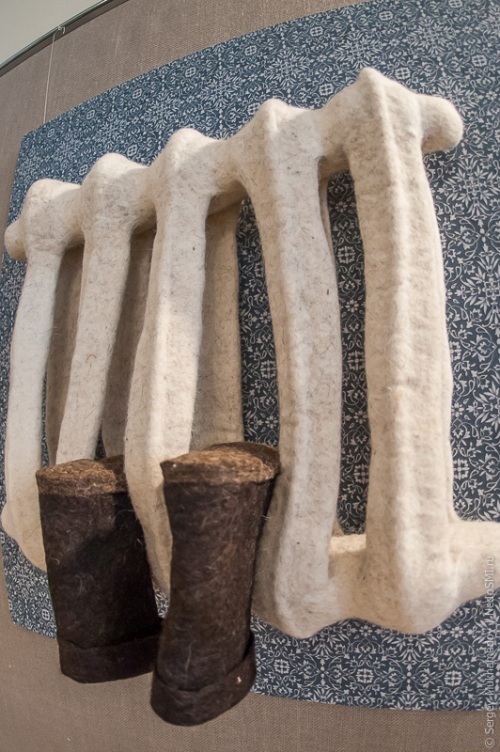 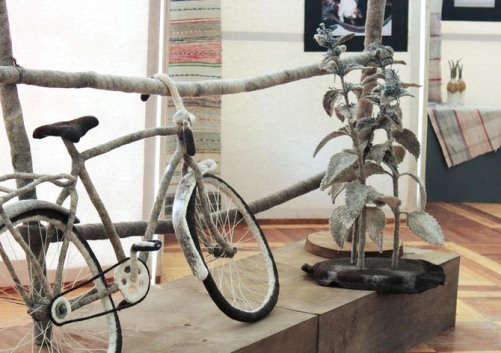 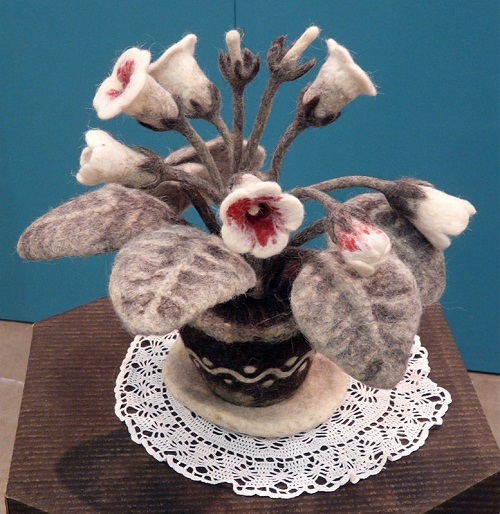 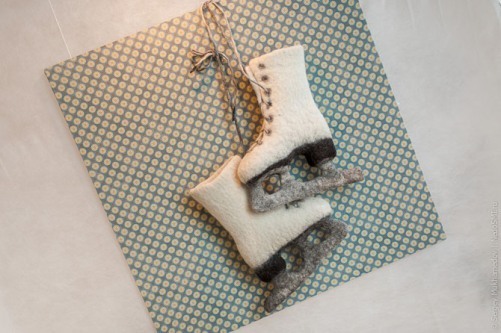 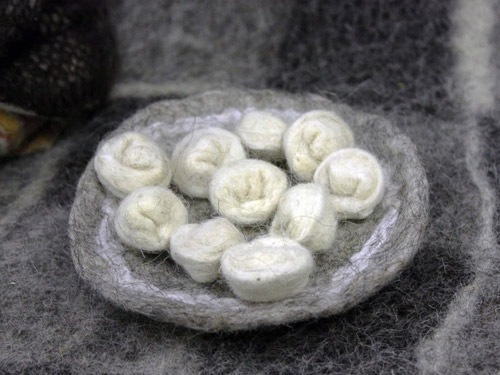 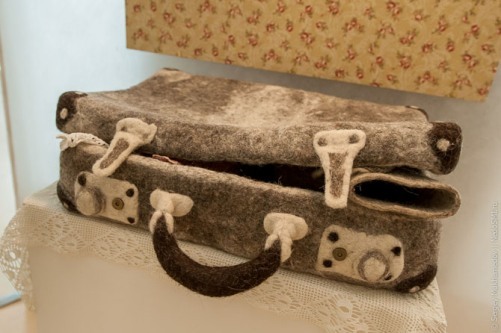 Felting is the oldest textile manufacturing technology in the world. 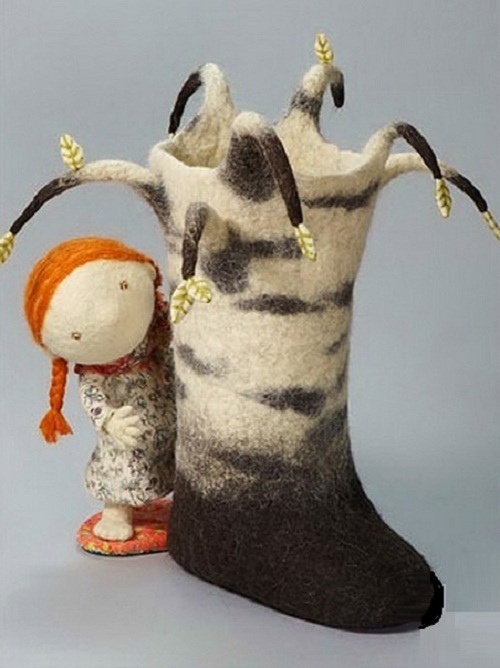 Archaeologists date the first appearance of felted products 8000 years ago. 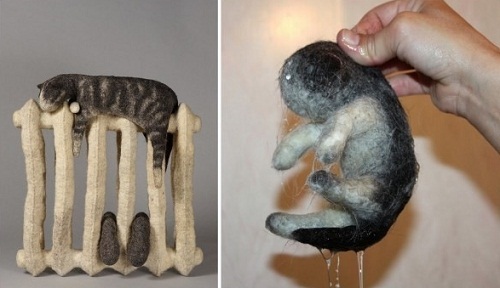 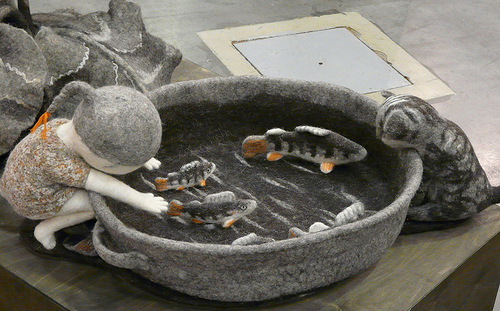 Ancient people started felting wool of wild animals. 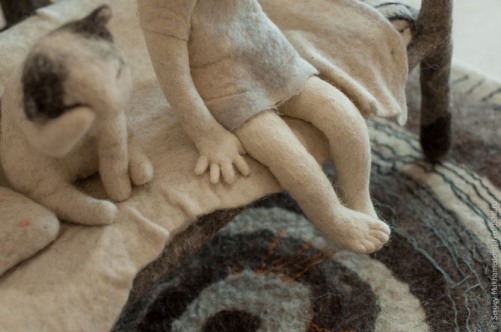 And then they learned to spin, knit and make cloth. 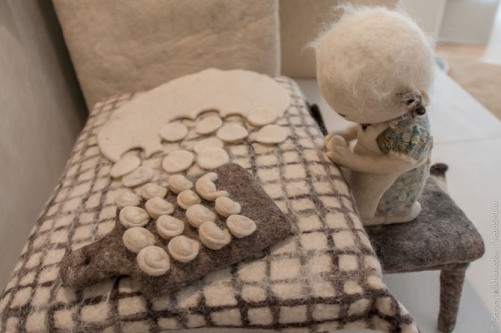 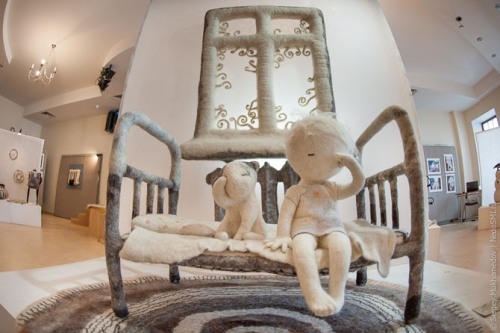 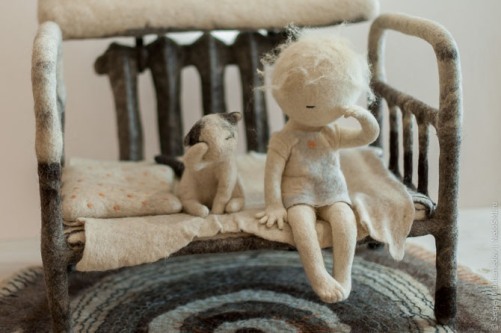 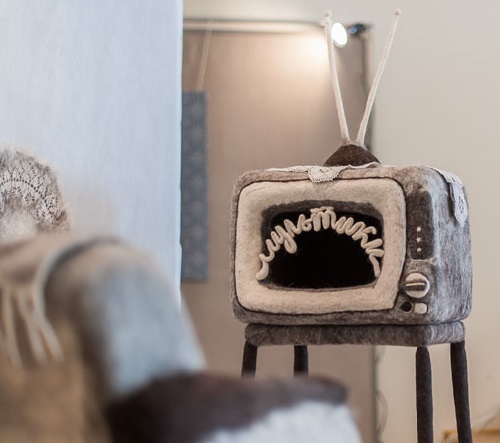 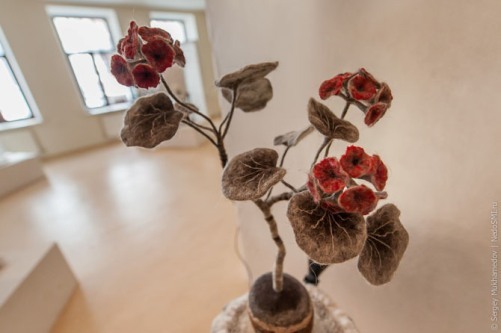 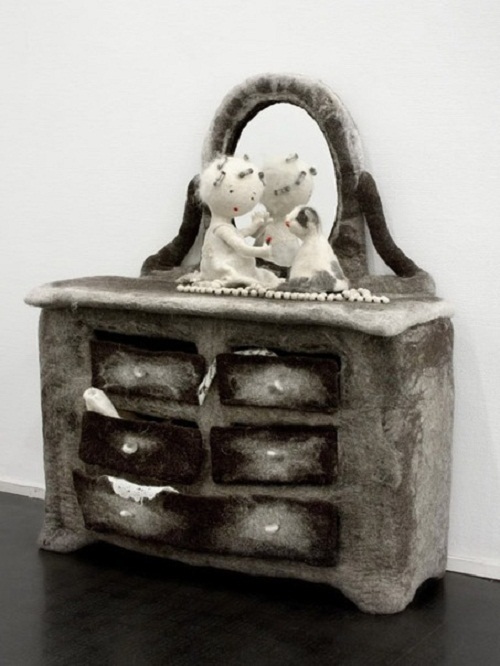 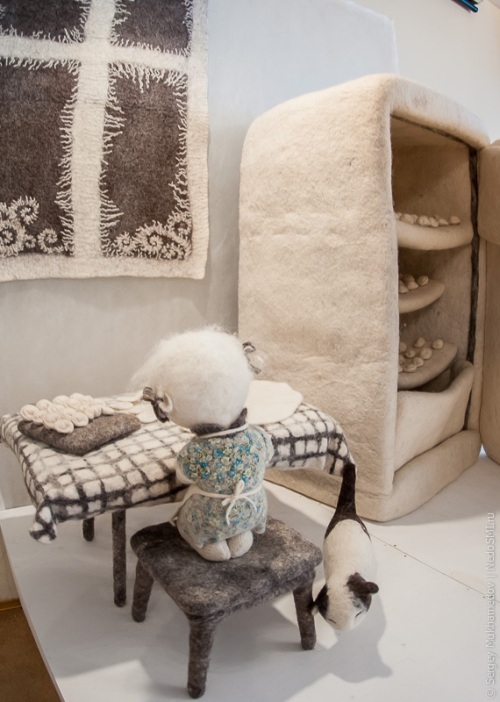 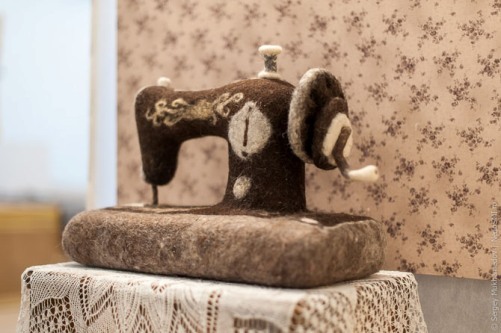 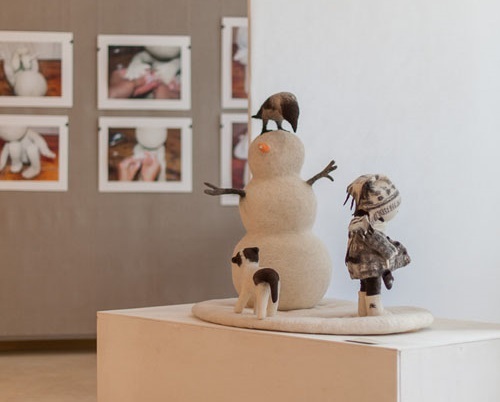 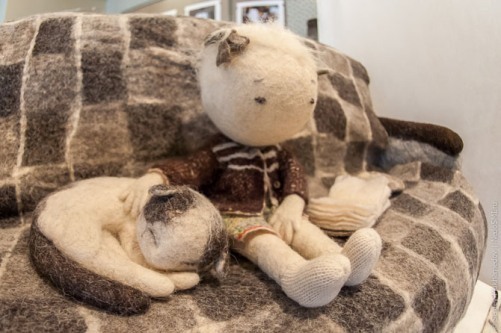 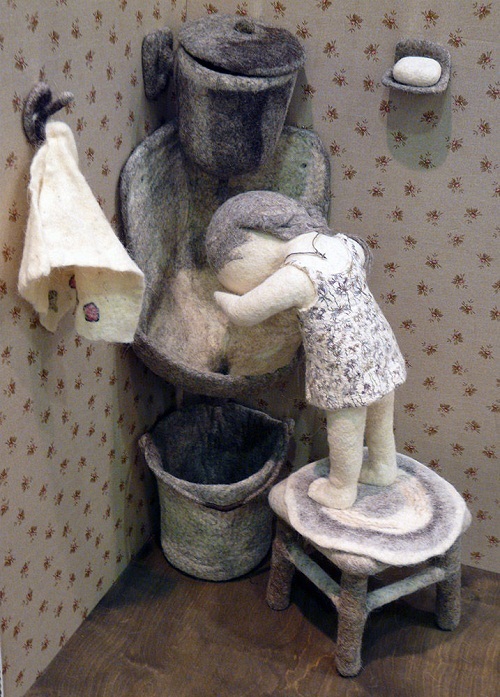 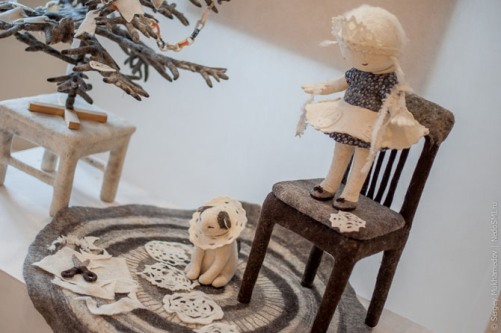 Irina Andreeva’s dolls are made of gray-beige, silver felt – the perfect works of art, where the material does not dictate and subordinates, and is a friend and supporter of the artist. 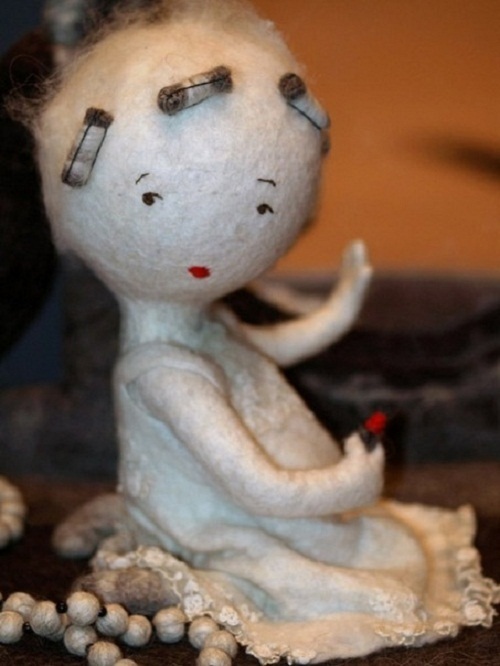 Her dolls are recognizable. 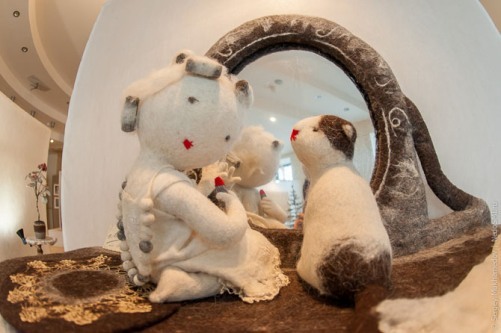 This story was inspired by her childhood memories. 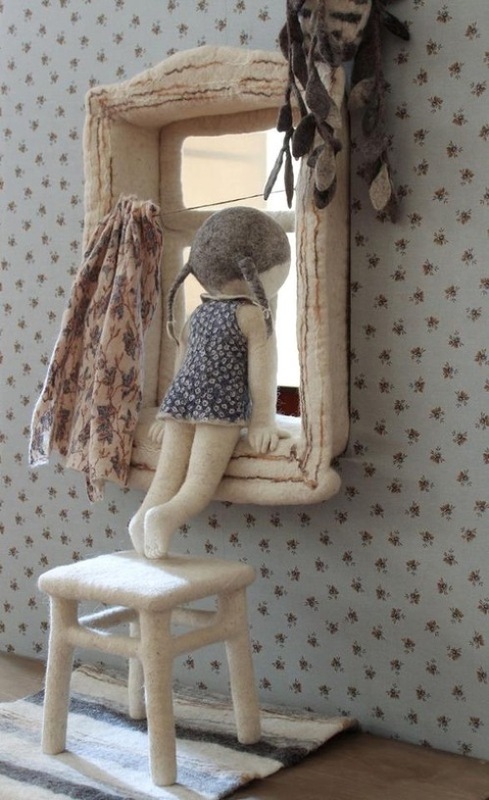 Heroes of the story – a little girl and her favorite cat. 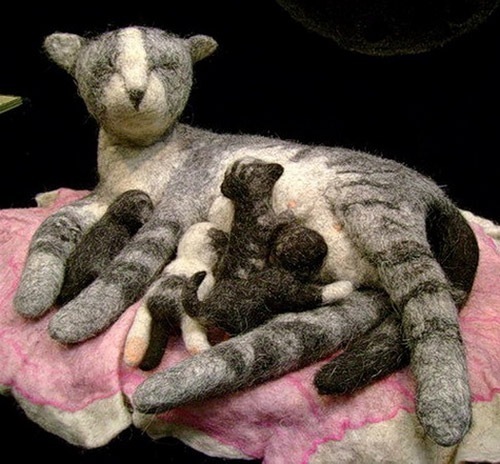 Not plush toy, but a real live kitty. 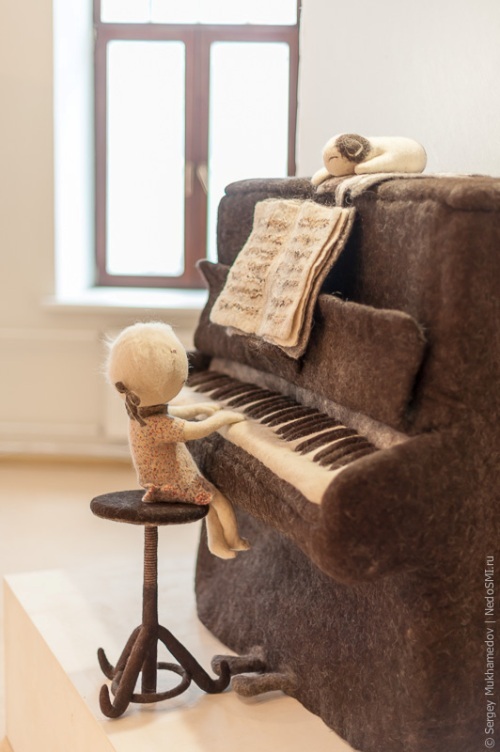 They live together in a cozy house, wake up in the morning, play, they are close friends who understand each other and they are happy together. 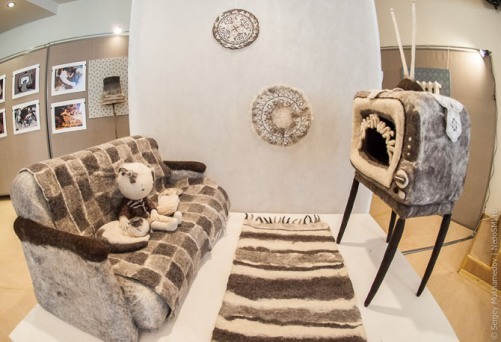 The composition is built in the form of a warm house with a chest of drawers, cabinets, window with a warm battery bed. 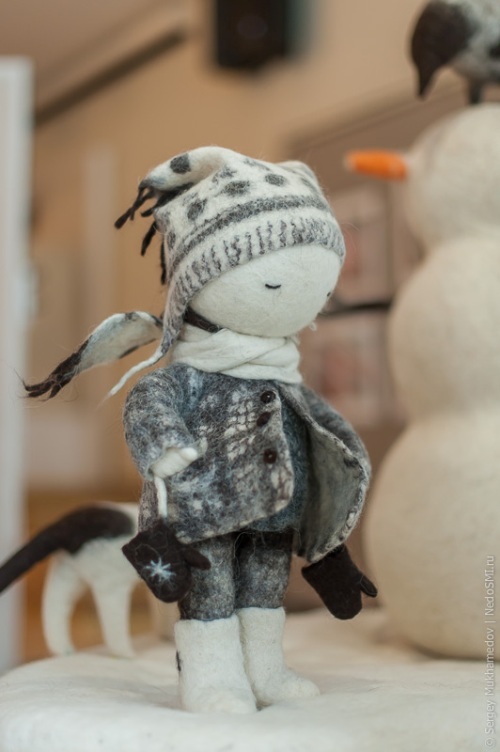 And with a snowman in the street. 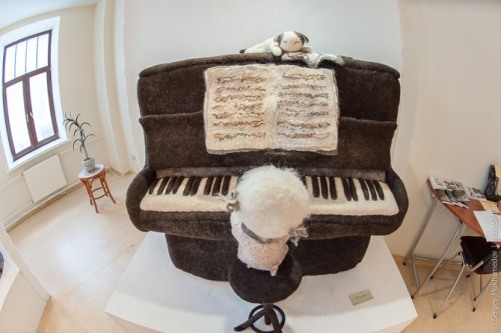 And all this is made out of felt!